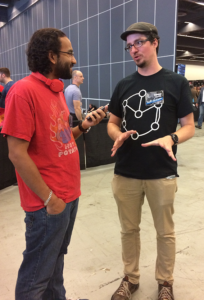 Interview with our CEO, Louis-Félix Cauchon. What’s great with Montreal Comiccon (other than not having to worry with international shipping!) 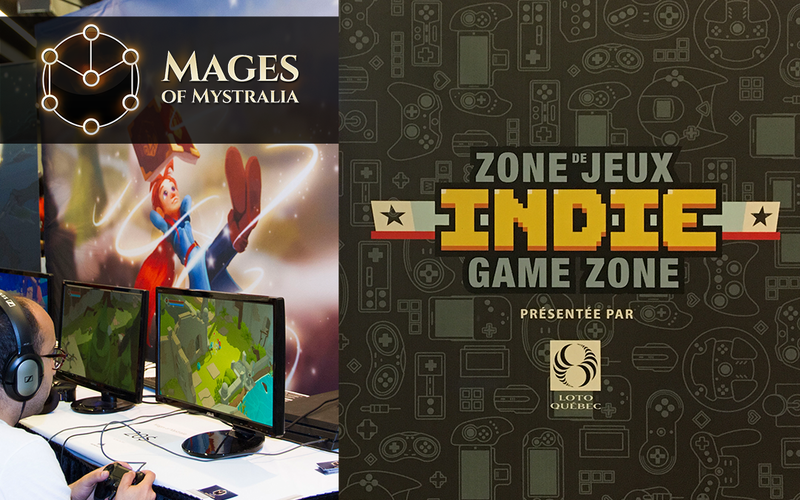 is that it not only gives us a chance to meet players and show them what we do, but it also allows us to discover new fellow indie developers and play their games. The local indie community is very rich. It’s a good day when we get a chance to bond with other game creators and see what they are working on. The Sky Temple is one of the first dungeons you enter in Mages of Mystralia. 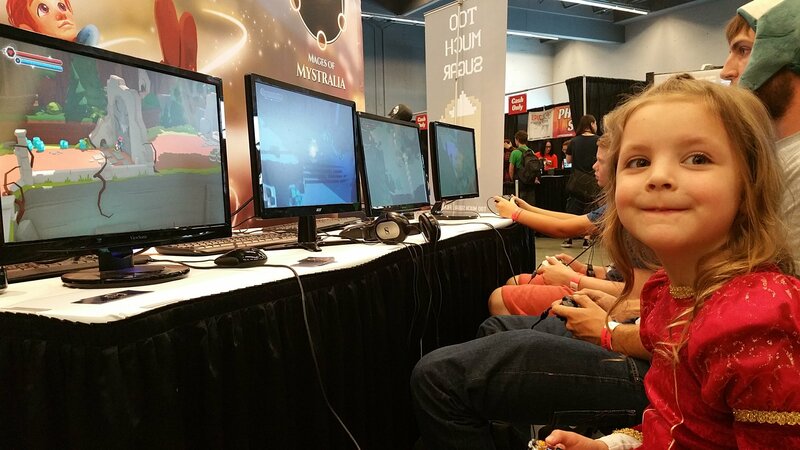 We’re always psyched when we see new people playing our game. The players’ response is very positive and their joy brings new motivation to the whole team. And we don’t always get the chance to show our game in Montreal, so it’s especially fun to meet people from our hometown. For Comiccon, we brought 4 stations on which visitors could test out our Sky Temple demo. The Sky Temple is one of the first dungeons you come upon in the game and is proving to be a great introductory exploration of Mages of Mystralia. We’ve also included a sandbox in which all the runes are activated, allowing for an intense spell crafting session! A little Zia stopped by our booth to play! Compared to other video game specific conventions, Comiccon is more family-friendly, which showed in the amount of young mages that stopped by to play. We even had a little Zia come by! We love cosplay, so next time you get to meet us at a convention, come show us what kind of mage you are.